Omega’s goal is, and has always been, to make collaboration better and more accessible for everyone. 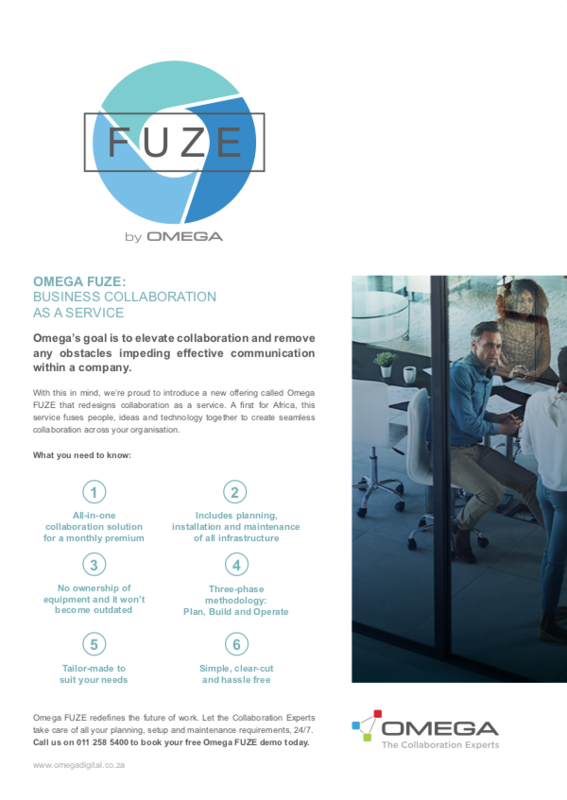 We’re proud to introduce a new service, Omega FUZE, that dials directly into this philosophy by redesigning collaboration as a service. A first for South Africa, this offering fuses people, ideas and technology together to create seamless collaboration, all wrapped up in an all-in-one solution for a monthly fee. Omega FUZE requires an initial consultation to facilitate the planning, installation and maintenance of the associated infrastructure which we’ll implement across your business using our three-phase Plan, Build and Operate methodology. With Omega FUZE, there’s no need to own any collaboration equipment or worry about it becoming outdated. It’s a simple, clear-cut and hassle-free solution that can be tailor-made to suit your specific requirements. Click here to book your free Omega FUZE demo. Omega FUZE redefines the future of work. 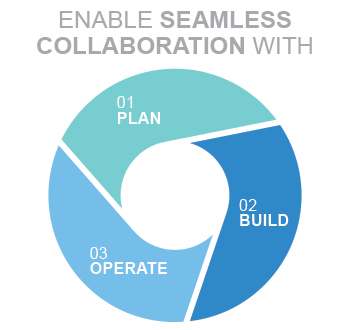 Let the Collaboration Experts take care of all your planning, setup and maintenance requirements, day in and day out.